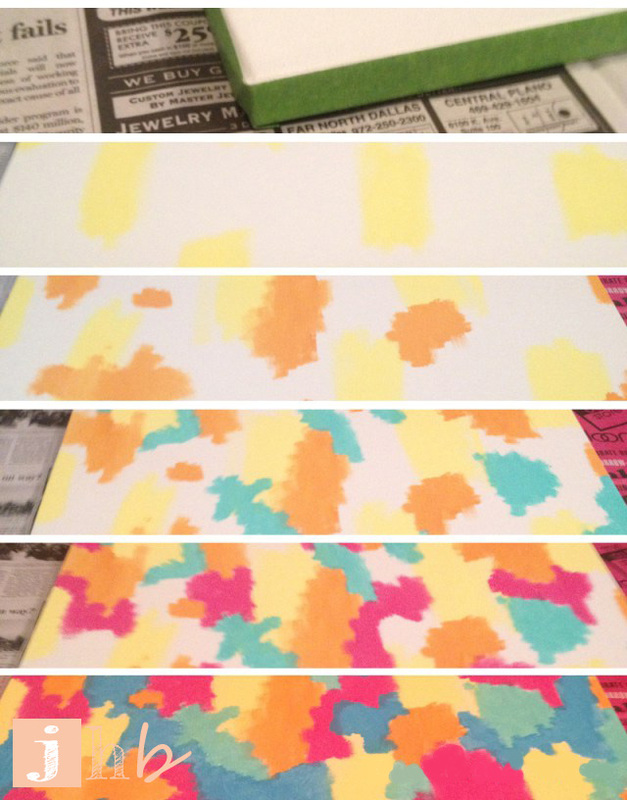 I wish I could decorate my house and play around on this blog full time, but like everyone else, I have bills to pay. Luckily, I absolutely love my nine-to-fiver! 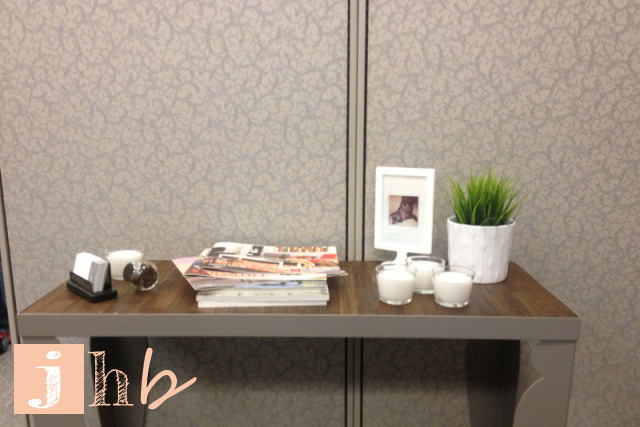 I don’t love, however, that I spend it in a cubicle that is beige, grey and greige. But with a little effort and very little cash, I injected some happy into the space in which I spend most of my week! I already had this sweet little console table in there, but it needed some love. On a post-work trip to IKEA one night, I picked up a few simple decorative items to style the table. 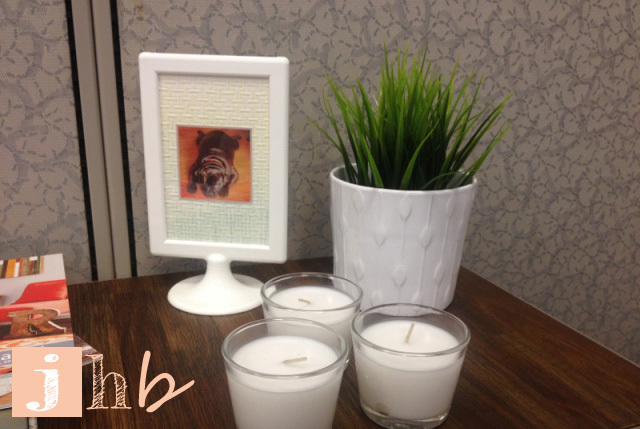 I bought the TOLSBY 2-sided frame ($0.99), four little MÅTTFULL candles ($0.79 ea), a FEJKA plant ($3.99), and a plant pot ($1.49 – can’t find the link). That’s a grand total of $9.63 pre-tax, y’all. Cute, right? For the TOLSBY, I used some of the leftover Allen + Roth basketweave paintable wallpaper from my media stand project as the matting. I used colored pencils to do an ombre effect on the wallpaper and then just taped a couple of my favorite Instagrams of my pup to the ombre’d matting. 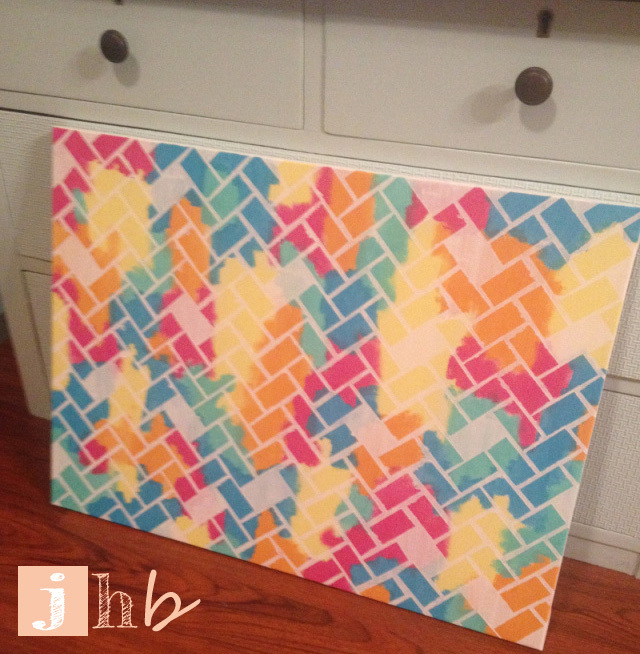 Now here’s where the herringbone comes in… This pin is constantly showing up in my pinterest feed. And it makes me swoon. I had to make one. I used the concept and put my own little spin on it. With all of the beige, grey and greige in my cubicle, I needed brightness in there. 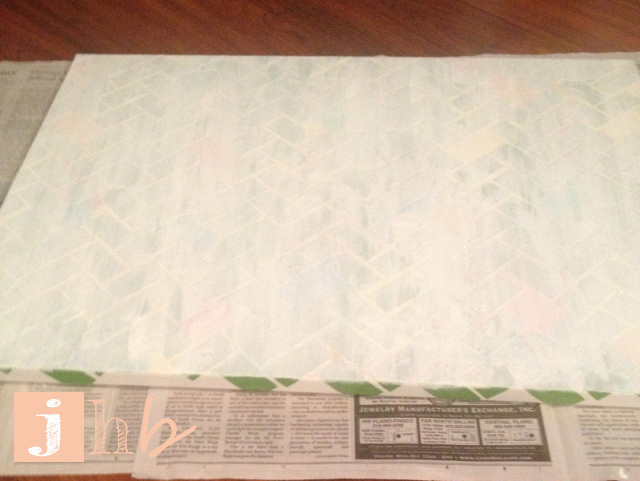 I taped off the edges of my canvas (bought at Hobby Lobby for about $8.50 with their weekly coupon) since I wanted them to stay white. 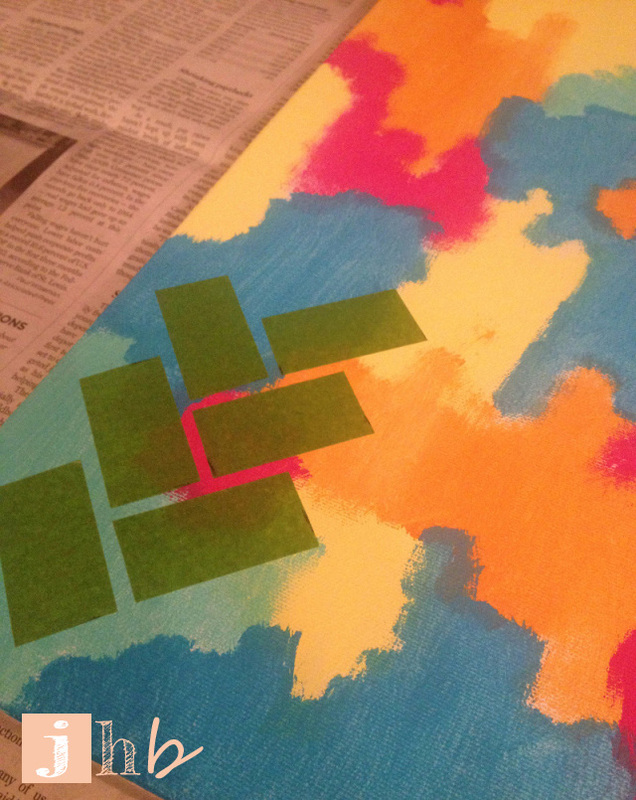 I picked some loud, funky colors and started laying them down randomly. Then, I let the whole thing dry overnight. I probably didn’t have to do that before this next step but I wanted to be extra careful. Also I wanted to watch the season finale of So You Think You Can Dance… Don’t judge me. 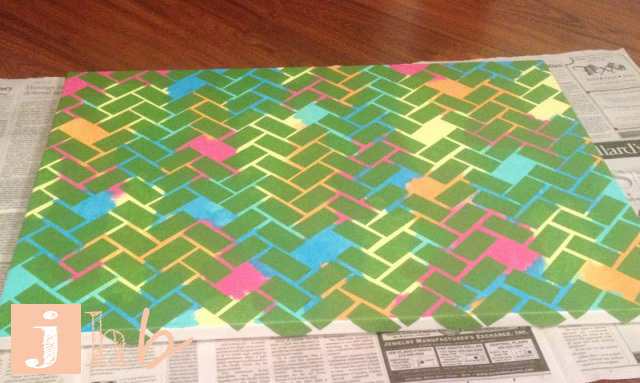 So the next night I started the herringbone pattern. To create the design, I cut up strips of frog tape. Lots of strips of frog tape. For like two hours. 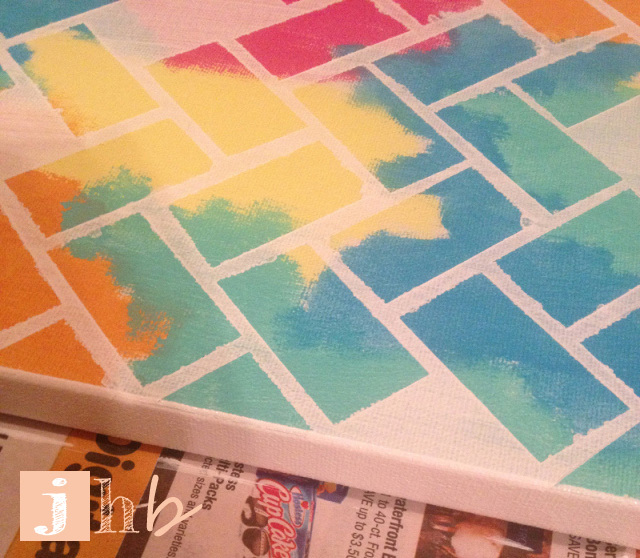 It was the most tedious part of the project, but it was totally and completely worth it. I picked a few spots that I wanted to remain white and removed the tape. 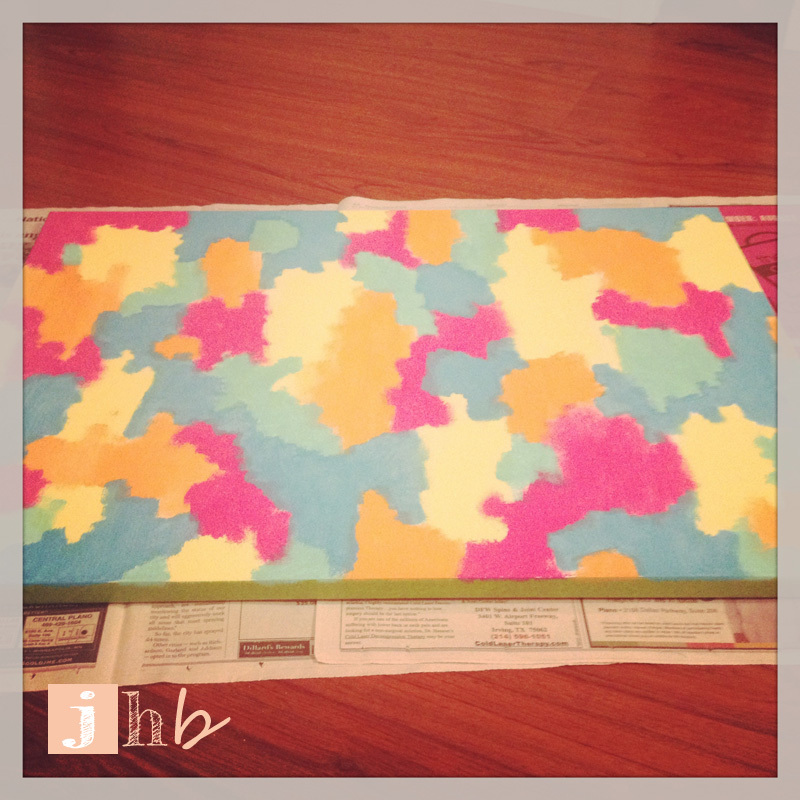 Then I painted the whole thing with white acrylic paint. I didn’t wait to take the tape of before it dried. I just used tweezers to carefully and quickly pull off each piece. I also painted the edges white to make it look more finished. You can sort-of tell in the above photo, right? 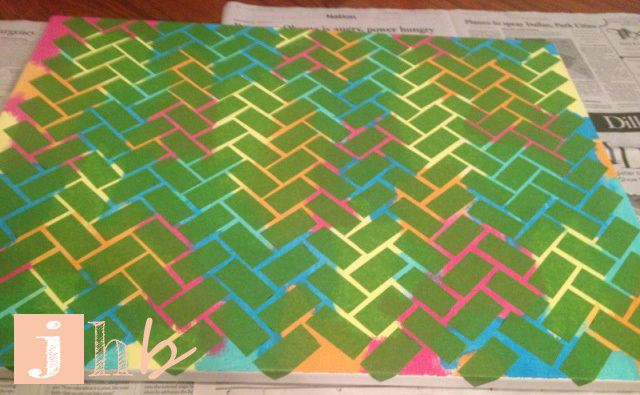 Look at my pretty, pretty herringbone art. The wood frame of the canvas rests perfectly on two cubicle clips. 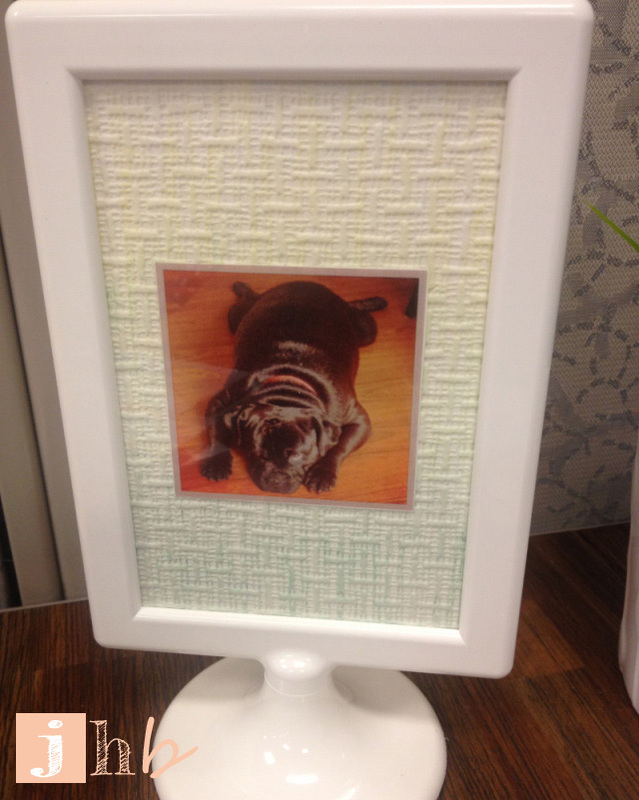 You wouldn’t believe how happy I get every time I walk into my cubicle now! 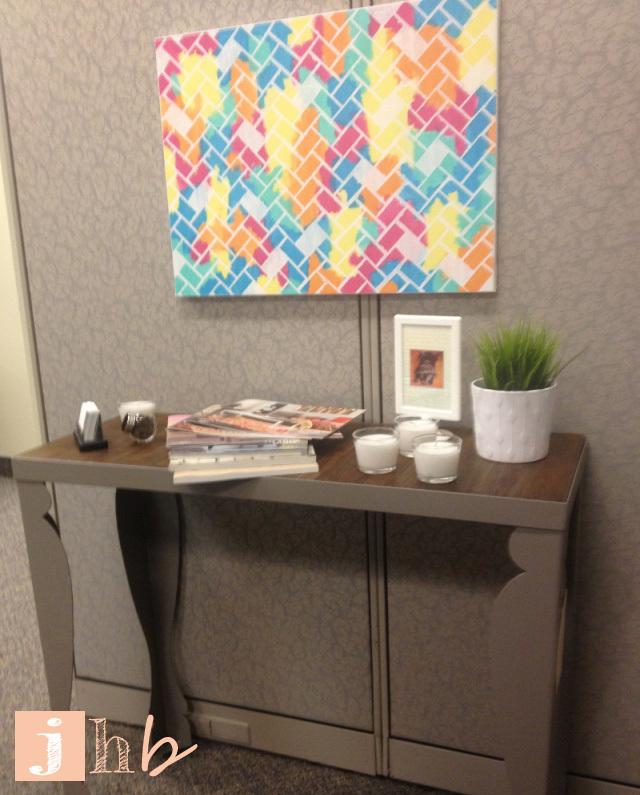 This entry was posted in Decor, DIY, Home Decor and tagged cubicle, frog tape, herringbone, pattern, wall art. Bookmark the permalink.